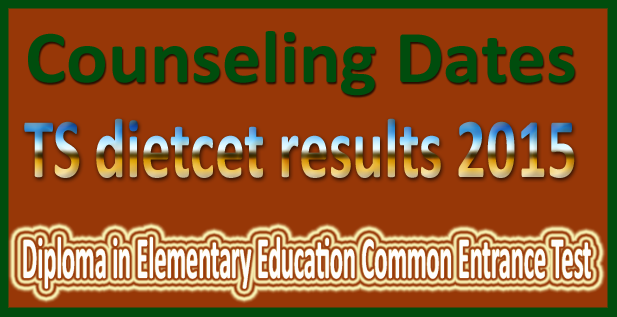 TS Deecet/Dietcet appeared candidates TS DEECET Results 2015 ,Telangana Dietcet Rank Cards can be downloading from govt dietcet official website tsdeecet.cgg.gov.in.TS DIETCET 2015 Results – Telangana Department of School Education on behalf of Government of Telangana has plans to release TS DEECET Results on 22nd August 2015 but in this day deecet results not released. This is a bad news for the candidates who are looking for TS DEECET 2015 Results. all the students are advised to visit deecet official website tsdeecet.cgg.gov.in to check their TS DEECET Results 2015 with Rank Card. Candidates logon to official website – tsdeecet.cgg.gov.in.